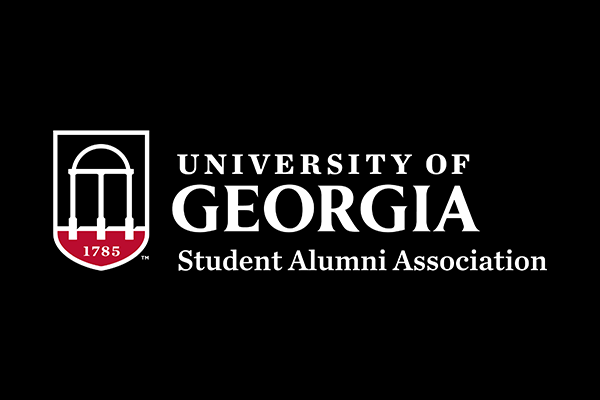 The University of Georgia Alumni Association strives to connect students with alumni, and serve all of its alumni in the best ways possible. The UGA Alumni Association is proud to have programming for some of the university’s most dynamic populations, including students and distinct affinity groups. There are three affinity groups: UGA Black Alumni, Women of UGA and Young Alumni. Learn more about all three affinity groups and how to apply. 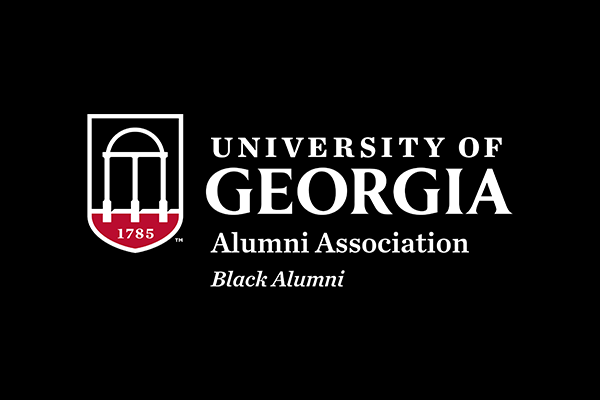 Applications for the Black Alumni, Women of UGA and Young Alumni Affinity Groups are collected from October to December. If you are passionate about building a welcoming UGA community for all Bulldogs, and enjoy helping fellow alumni connect to their alma mater, consider volunteering for an affinity group leadership council. Hone your leadership skills, plan the types of programs that you want to attend and create meaningful connections with fellow alumni. Learn more in the frequently asked questions section. Please note that all alumni must complete an application for each council of interest. What is the purpose of affinity groups? Affinity groups were created to nurture a welcoming community for all Bulldog alumni. Not all alumni experience the university in the same way, and affinity groups allow the Alumni Association to bridge the gap between the student experience and the alumni experience for certain populations. The affinity groups will be led by 15-person leadership councils who will steer the mission and programming for each group. Is there any historical precedent for these groups? In 2004, the UGA Alumni Association incepted Multicultural Programs. This programming unit was designed to provide diverse alumni with opportunities to be involved, and stay connected with, the UGA Alumni Association and university, while networking and socializing with fellow UGA alumni and friends. Multicultural Programs’ primary focus is on outreach to underrepresented alumni groups, including: African American, Latino, Asian, Native American and multi-racial alumni through specially designed, culturally sensitive events. This steering committee led programming unit, along with high alumni engagement and advocacy, led to the establishment of the UGA Black Alumni Affinity Group and Black Alumni Leadership Council in October 2015. Women of UGA has maintained three tenets of community empowerment since it was established as Explore Programming for Women in early 2000. Through the years, a steering committee of volunteers has helped guide the direction of the group. In 2014, Women of UGA established the Women of UGA Scholarship Fund, a needs-based scholarship that will be afforded to students through the Office of Student Financial Aid. 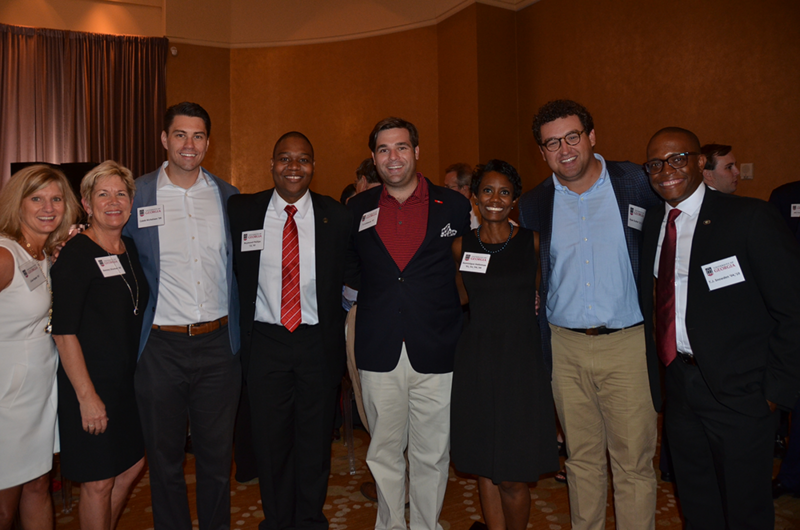 The Young Alumni group has been present intermittently throughout the decades. 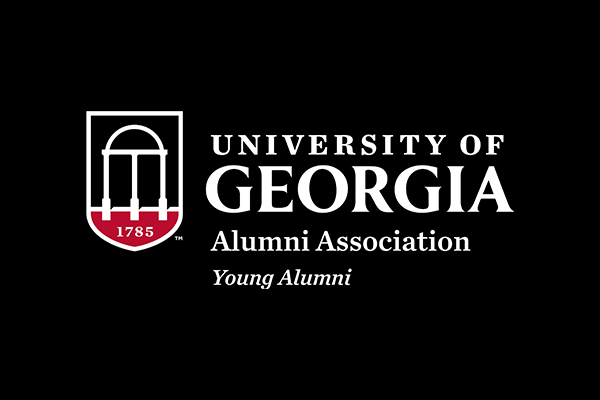 With a renewed strategic plan, the UGA Alumni Association is ready to channel the energy and focus of passionate young graduates to help bring quality programs to the Atlanta area. This group will connect and engage the largest population of UGA alumni living in Metro Atlanta. There are 39,043 alumni, ages 35 and under, living in Cobb, DeKalb, Fulton, Gwinnett, Henry and Spalding Counties. Who can join an affinity group? All UGA alumni automatically become members of the Alumni Association upon graduation. Any UGA graduate whose interests are aligned with those of the UGA Alumni Association and its affinity groups may join and attend programs. To be considered for the Young Alumni and Women of UGA leadership councils, members must live in Metro Atlanta. Does this mean that there is more than one UGA Alumni Association? No. Affinity groups are not separate alumni associations. Think of them like committees in Congress—they are working toward the same goals to connect, hire and give, but with a more specific population. How can I get involved with the UGA Alumni Association? Attend and/or nominate your UGA Alumni peers for Bulldog 100, 40 Under 40 and Alumni Awards. Host a webinar for alumni. Specifically, how can I get involved with an affinity group? You can support these affinity groups by attending events and joining established committees on the leadership councils. If you would like to be a part of planning the events and goals of an affinity group, please complete a leadership council application. Applications are now open for the affinity group leadership councils. Each affinity group will have its own 15-member council that will define goals, create programming initiatives and support the scholarship funds held by these groups. As a member of one of these councils, you will have the opportunity to connect and network with influential alumni, develop your professional and personal leadership skills and participate in meaningful programming that enhances the experiences of UGA alumni and students. What are the criteria for joining the leadership council for one of these groups? All leadership council members must be UGA alumni who uphold the Pillars of the Arch– wisdom, justice and moderation. Council members must also attend at least two of the three quarterly council meetings, participate in the creation of affinity group programming, attend the majority of council events and donate at least $300 per year to the UGA Foundation or other academic pursuits at UGA. For the Young Alumni and Women of UGA leadership councils, members must live in Metro Atlanta. What is the selection process for the councils? Each leadership council application will be reviewed by the affinity group’s Board Advisory Committee. This committee is comprised of members of the UGA Alumni Association Board of Directors and is committed to guiding, advising and mentoring each leadership council. What if I want to create another affinity group? The three existing affinity groups came about through demand from highly engaged alumni who volunteer with these groups. If you are interested in adding to the Bulldog nation through the formation of a new affinity group, contact Frances Beusse. And, don’t forget that regional chapters and alumni events are wonderful ways to stay connected with the UGA Alumni Association.